You see, Jesse is a huge Lord of The Rings fan and has wanted to visit New Zealand ever since he found out the movies were made there - and when he learnt that you could visit the Hobbiton set, that become the number one thing on his bucket list. Whenever we talked about going on vacation, Jesse was always going on about how we NEEEEEEEEEEDED to go to New Zealand so he could tick that off his bucket list - and whilst I would have much preferred a relaxing tropical escape, I got to researching so I could put together Jesse's ultimate vacation - and this was the key part of our entire New Zealand trip; Hobbit Day. 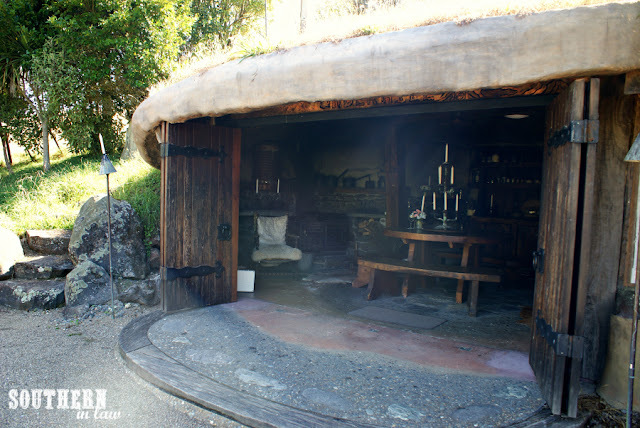 Now, I wasn't kidding when I said I was on a mission to put together The Ultimate Lord of The Rings Experience for Jesse because, whilst we could have stayed anywhere, I wanted to make sure this day really was Hobbit-filled. 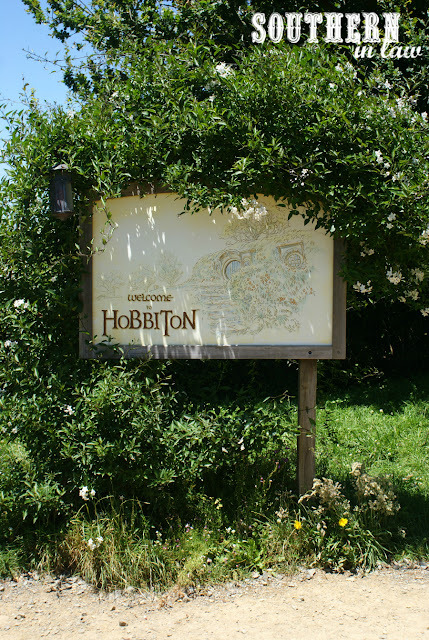 So where do you stay when you want to make sure every second fulfills your Hobbit-obsessed husband's dreams? 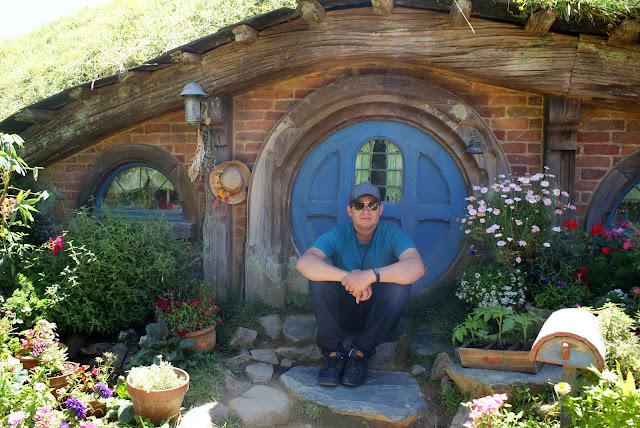 Why, you stay exactly where Gandalf stayed, of course! 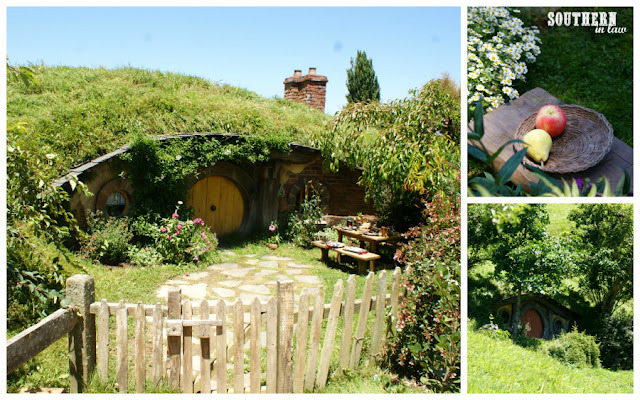 Before our big day at Hobbiton, we stayed at Earthstead Villas in Cambridge in their Earth House - the very place where Ian McKellen himself chose to call home whilst filming the movies. 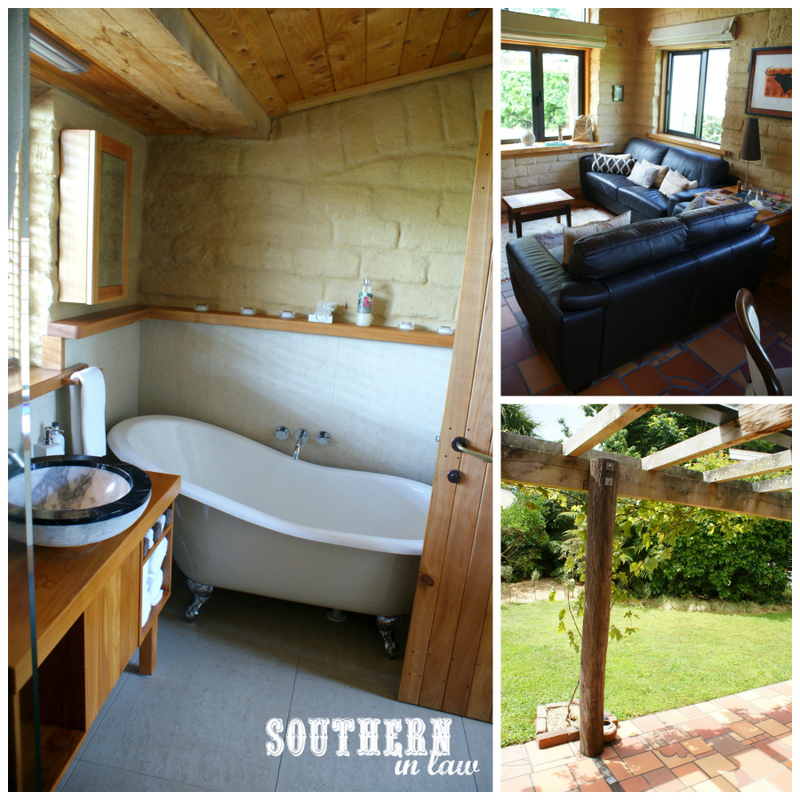 Earth House is a fully self-contained two bedroom cottage with a gorgeous sitting room, dining area and full kitchen, all hand-crafted from earth, straw, untreated timber and natural oil finishes to create the ultimate sustainable accommodation option. Owners Suzie and Alistair are passionate about sustainability and designed the studios to be eco-friendly whilst also being incredibly luxurious. Every single detail was thought out and created with love - right down to the bricks that the Earth House is made out of - each and every one of which was handmade right on the property using natural earth and straw. Our stay at Earth House was definitely one of the highlights of our trip and we wished we never had to leave as we had everything we could possibly need, right at our fingertips. 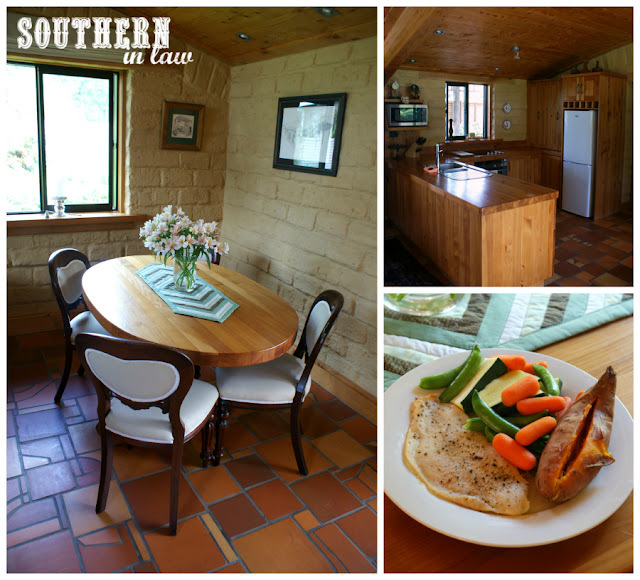 There was no questioning why Ian had chosen this as his home away from home as we cozied up on the lounge with the fire blazing, enjoyed a home cooked meal (you've never seen people get so excited over an oven with so many weeks of traveling without one!) and enjoyed the sound of native birds singing away in our private garden. Before we headed off for our day at Hobbiton, Jesse enjoyed an incredible breakfast spread, all created by Suzie. 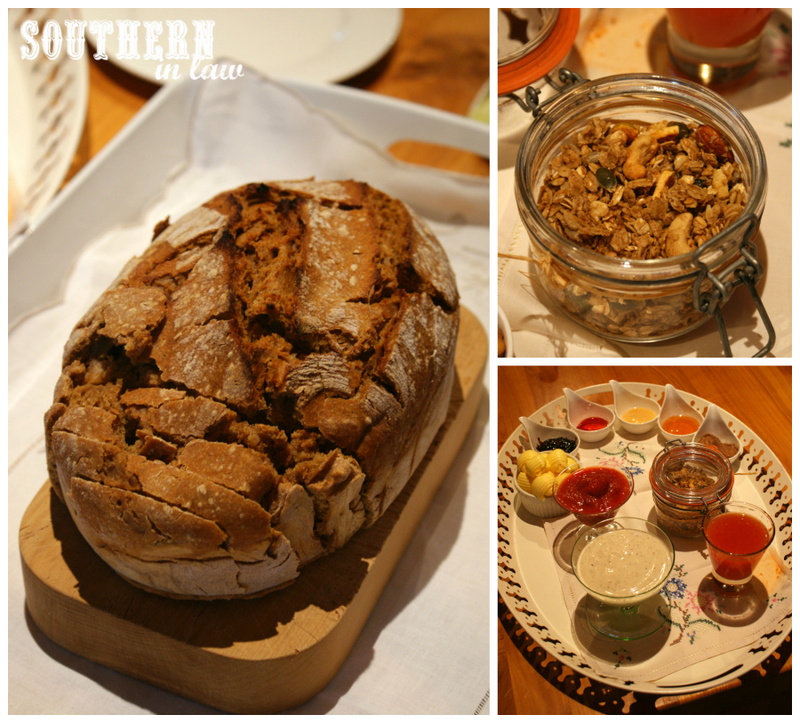 The spread included everything from freshly baked sourdough bread (still warm from the oven), Suzie's famous homemade muesli, yogurt and a selection of homemade jams all created using produce from the property as well as honey from Earthstead's very own bees! 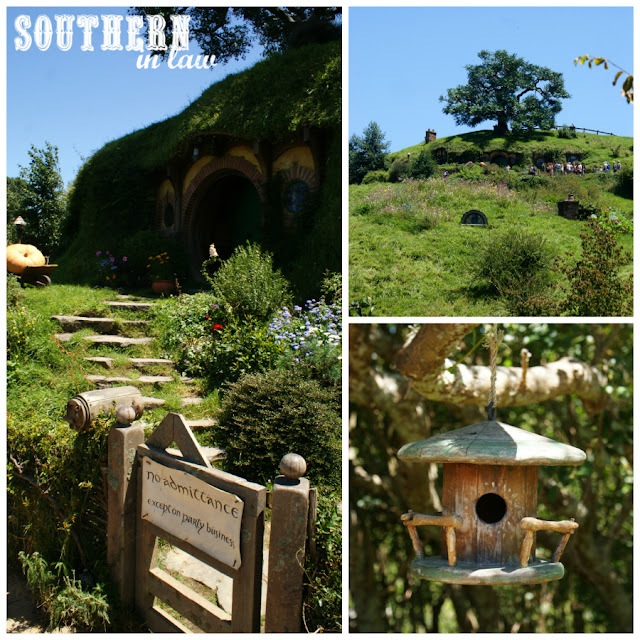 After saying goodbye to Earthstead, we had a quick half our journey to Middle Earth itself! 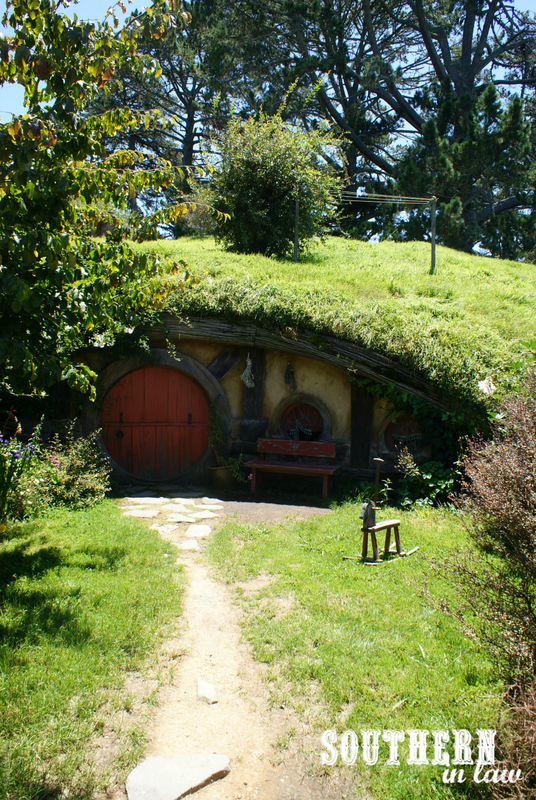 We arrived at the Shire's Rest with an hour or so to spare before our scheduled tour, which gave us plenty of time to have a look around and a browse through the gift shop. If "the ring" is a must item for you, the gift shop sells them for the pretty price of $150-ish (I thought it was $200 and something, Jesse's adamant it was $150 :P). I'm not a collector so my jaw pretty much fell on the floor when I saw that (especially for a plain gold ring that could be from anywhere!) but the sales assistant told me they had already sold 15 that morning and it was only 10:30am. 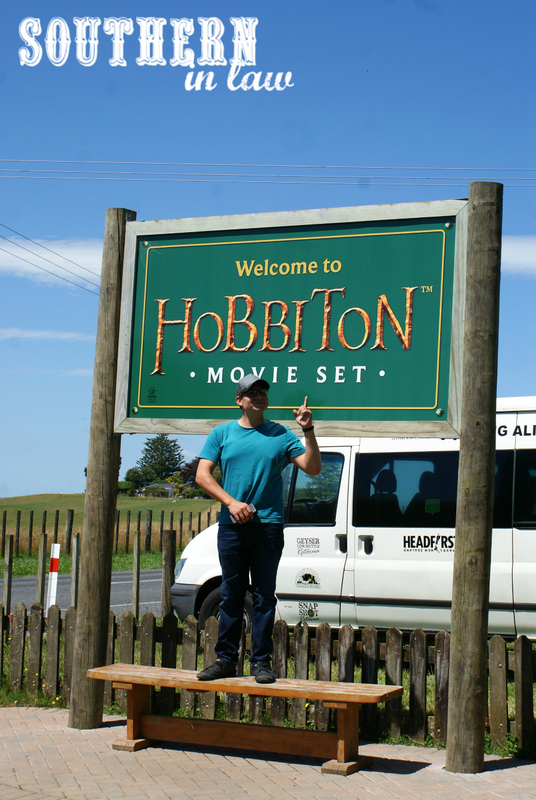 Before we knew it, it was time for our tour and we hopped aboard our bus for the ride over to the movie set. 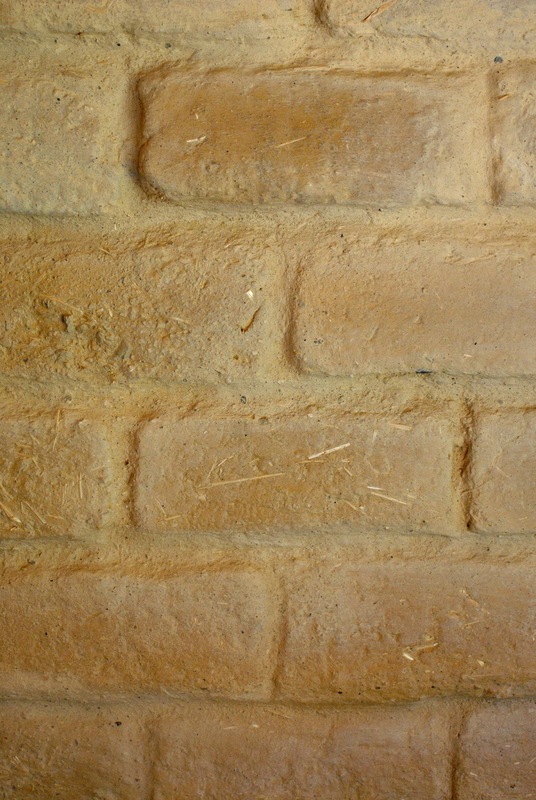 Each tour has around 30 people, led around by a single guide. During peak times, tours run every 10-15 minutes and we were there around midday and it was seriously busy. Apparently the tip is to go either during the off season (winter is quieter) or go late in the afternoon as most people like to go earlier in the day. Our guide, Harriet, was brilliant and shared fun facts and interesting tidbits whilst herding our group through the set. There is plenty to look at and plenty of time to take photos, however, you'll need to bring your patience along if you're visiting when it's busy. 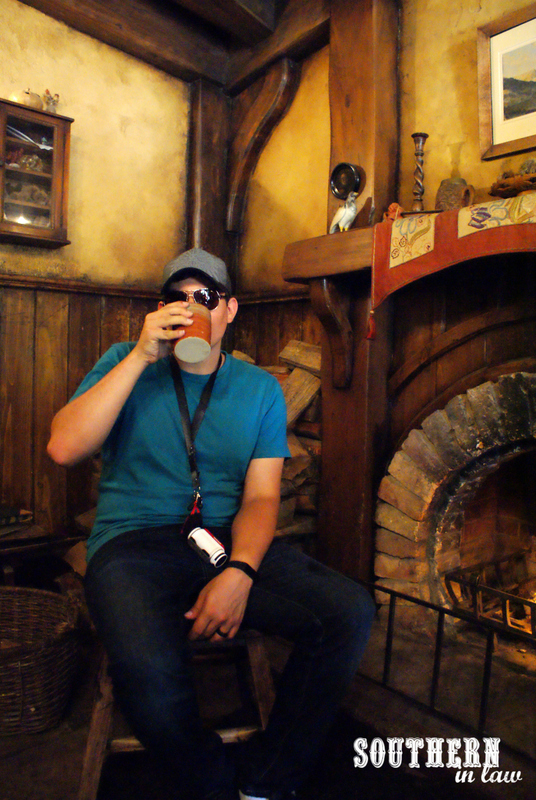 Hobbiton as shot by Jesse on our TomTom Bandit! Even if you're not a huge LOTR/Hobbit fan, it's still a pretty cool place to visit as there's plenty to discover! What was once a regular old sheep farm is now Middle Earth itself with dozens of Hobbit holes and lots of stories to hear about. I loved finding out the secrets behind the movies - from how they hand wired sculpted fruits onto the trees in the village to make sure they were Hobbit sized to how the huge party tree had to be covered in specially made silk leaves to give it that luscious look as the leaves rustled in the wind. At the end of the tour, you can cool off with a refreshing drink at the Green Dragon Inn (including within your tour price) with the choice of a Girdley Fine Grain Amber Ale, Oatbarton Brew English Ale, Sackville Cider or Frogmorton Ginger Beer. Jesse was definitely happy as a pig in mud with his Hobbit Day - but little did he know I had another surprise in store. All day long he'd been saying how he wished he could stay in a Hobbit hole, however, I was already ten steps ahead of him as that's exactly what we were doing! 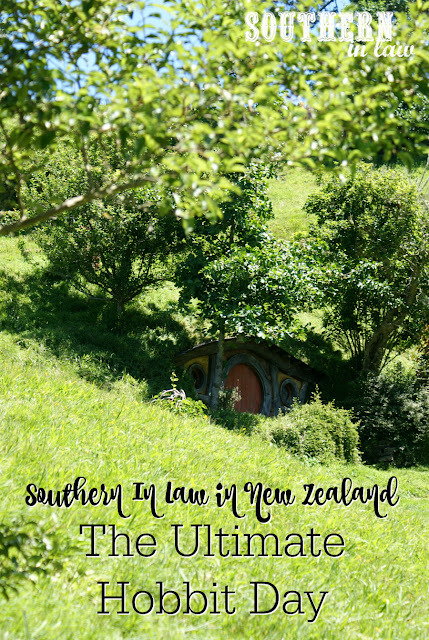 That night we were staying in our very own "Hobbit Hole" at Underhill - which I told you all about in this post - and it was the perfect way to end our very Hobbit-y day! Earthstead Villas - Earth House sleeps 4 from $314 per night. Find out more here. Hobbiton - Standard tour $79 NZD Adults, $39.50 NZD Youth, Free for under 8's with paying adult. 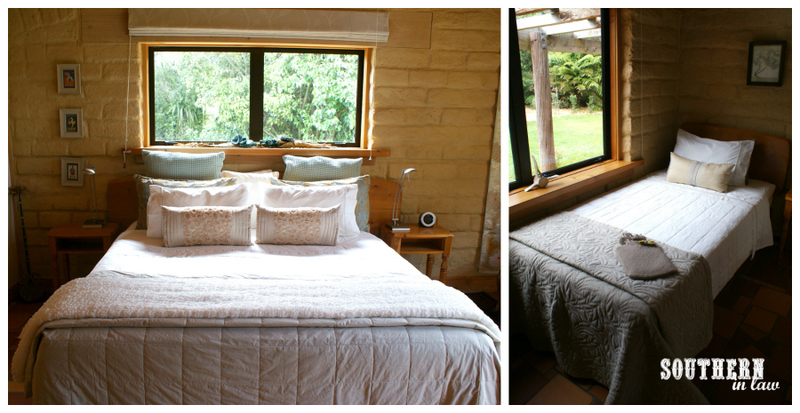 Underhill - sleeps 2 - from $325 per night with discount for multi-night stays. Find out more here. But tell me, are you a LOTR/Hobbit Fan? What's the number one destination/experience on your bucket list?